NEW DORP, Staten Island (WABC) -- Police on Staten Island are trying to catch a Christmas lights thief. 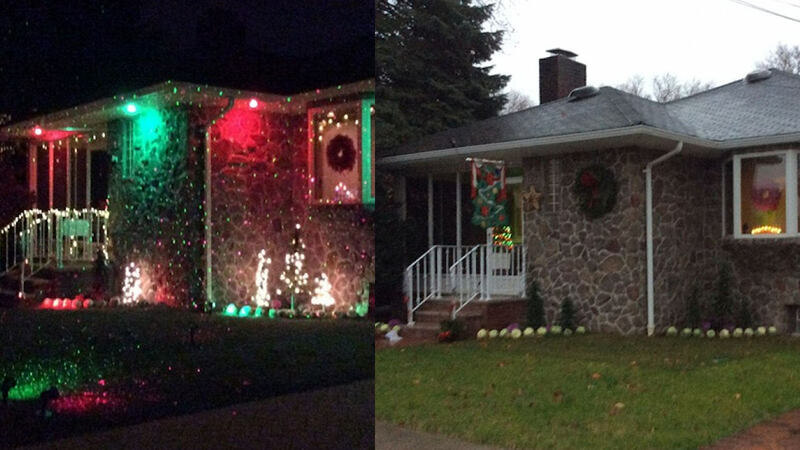 Jo Holmes adorned her home in the New Dorp section with $800 worth of lights and decorations. But when she woke up Wednesday, she discovered they were gone. Thieves stole nearly everything, even the extension cords. "I don't know what joy anyone would have in having these lights, having stolen them. They don't belong to them, they belong to us," Holmes said. Two other homes on the same block also had their decorations stolen this week.